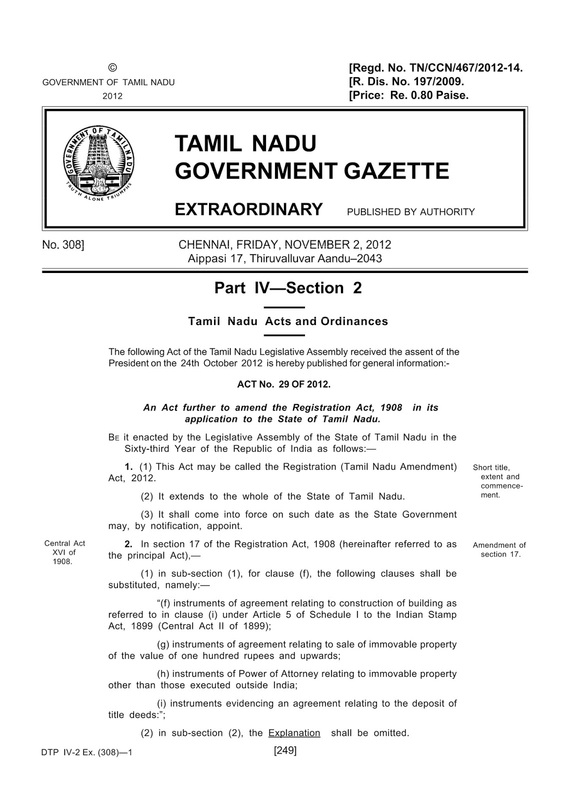 CHENNAI: With a view to preventing land grabbing and bogus registrations, the State government has made it mandatory to register documents of Power of Attorney, Sale Agreements and Agreements relating to Title Deeds and Construction Agreements provided under Article 5(i) of the Indian Stamp Act, 1899, from December 1. With this amendment in the Registration Act of 1908 coming into force, a registered document will take precedence over an unregistered document, before the law. So far, registration of these documents has been optional. 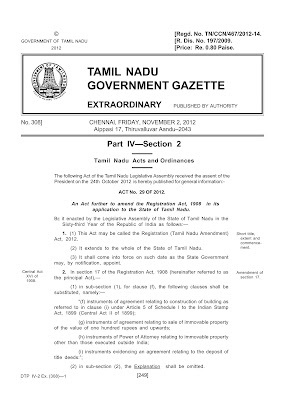 To prevent the misuse of these documents, the State Assembly had adopted a Bill amending certain provisions of the Registration Act, 1908 on May 16 and now, the President of India has given his assent to the Bill. 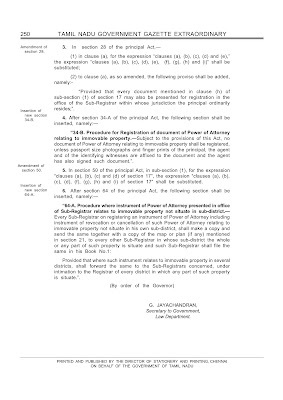 The amended Act is coming into force from December 1. An official release here said the documents of Power of Attorney executed outside the country are exempted from compulsory registration. 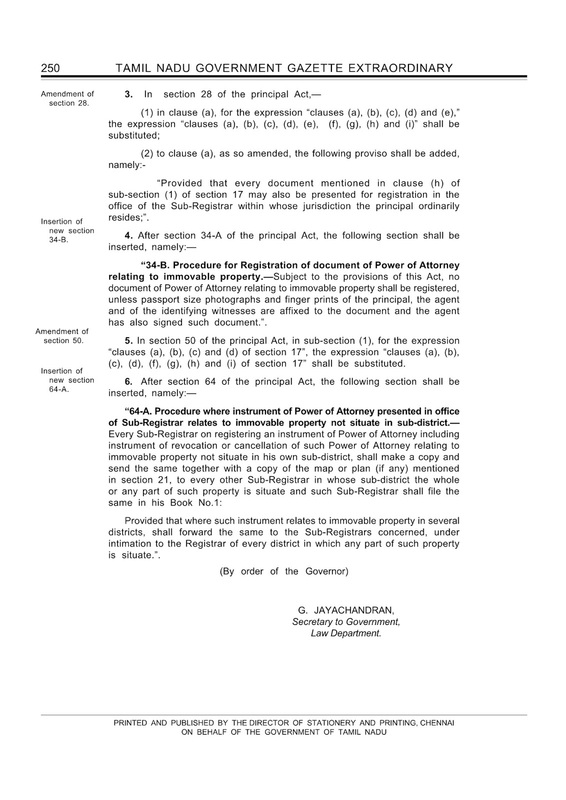 While the present arrangement of registering Sale Agreement and Agreement relating to Deposit of Title Deeds with the jurisdictional Sub Registrar will continue, documents of Power of Attorney have to be registered either with the jurisdictional Sub-Registrar, where the property is situated, or where the principal resides.